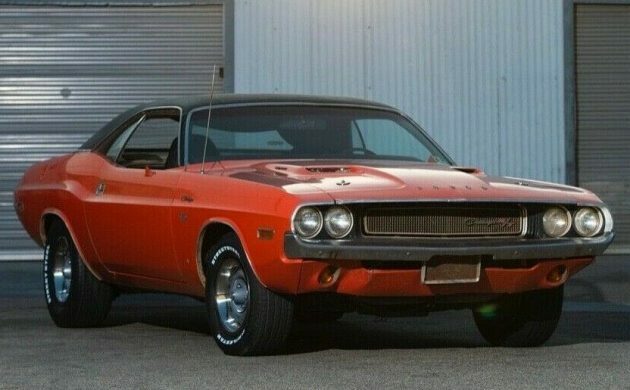 This 1970 Dodge Challenger R/T is not perfect, but the owner describes it as an unmolested original survivor. 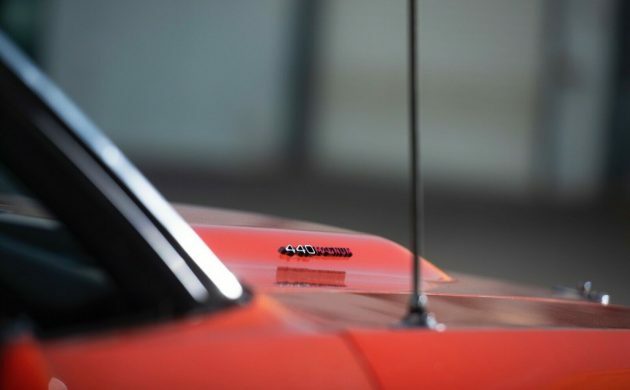 He doesn’t give us a lot of photos to work with, but he does give us information that is enough to whet the appetite of most classic car enthusiasts. The Challenger is located in Huntington Beach, California, and is listed for sale here on eBay. The Challenger has been kept indoors from 1986 until the present, and its original paint has held up quite well. 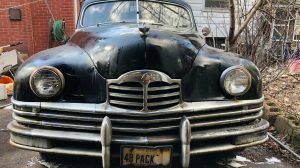 The owner says that there are the usual chips and marks that you would expect in a car of this age, and the paint has worn thin in a few spots, but it is otherwise quite good. The vinyl top is also said to be original, and while he doesn’t show it in the photos, apparently there is a fairly sizeable dent in the driver’s door. 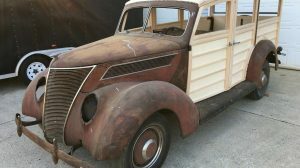 He doesn’t make any mention of rust or rot, but as best we can see from the photos, the car does look to be quite solid and clean. This is where things start to get a wee bit frustrating. We don’t get any photos of either the engine or the interior. We know that this is a full numbers-matching car and that the only things that have ever been replaced are the normal items that you would consider as consumables on a car. That is things like oil, filters, belts, the battery, and the alternator. 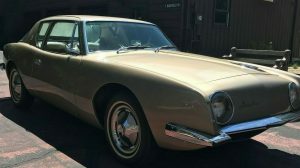 The car still sports its 440ci 4-barrel engine, its original A-727 TorqueFlite transmission with the console shifter, and the original 4.10 Dana rear end. The car is said to run and drive well. The owner also claims that the car has covered a genuine 16,000 miles, but doesn’t indicate whether he holds any documentation to verify this. Given the fact that the car is fitted with a console-mounted shifter, by looking at the one photo of the plate, we do know that the car is also fitted with bucket seats, a factory radio, and 3-speed wipers. As for the condition of the interior, well your guess is as good as mine, unfortunately. This is such a nice car, and the advertisement is so badly hampered by a lack of photos. The condition of the car appears to be quite reasonable, but it is hard to tell just how reasonable it is given the information that we are given. Good examples of the R/T 440 can rarely be found for under $45,000, while the sky is the limit for immaculate cars. If all of the claims for this car check out, then this car has the potential to be something a bit special. The owner has set a BIN price of $35,000 for the car, but the option is there to make an offer. If it all checks out, would you take a punt on it? Looks like more photos were added. Driver’s door and rear quarter took a hit. $15k – $25k to get it back in real mint shape (haven’t seen undercarriage). I’d be close to $30k on my offer. Graveyard cars or someone already scooped it up! Love the Pioneer Supertuner AM/FM/8 track player. I wonder if this car was featured on Bring a trailer a little over a year ago (+/- a few months). If so, I hope the buyer read thru the auction. I think the owner was made aware of several things about his car that crossed his story, so to speak. In any case, cool car. If it was a vinyl top it would read. Its only original once,a little rough around the edges and a nice vinyl top doesn’t hurt! Great straight line warrior, or just cruising slowly on Friday night, then roasting the rear tires for a thrill or two. I like. 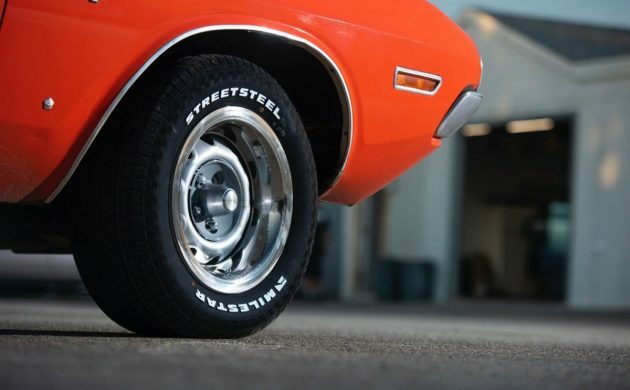 Had a 71 440 Sixpack Challenger, 4 spd, 4:10 gears. One of the strangest questions I would get, “how miles per gallon does this get” my answer was, “who cares”. Fuel mileage is not on your mind or a concern when you guy a car with 1350 CFM of 6 bbl carbs. When the gas gauge reads empty, you put fuel in it..end of story. If you want something with fuel mileage go buy a 4 cyl Honda. 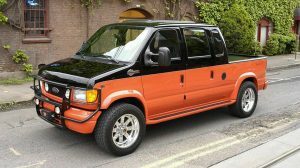 Can’t afford to drive it, why buy it ? Sounds like a mean ride you had, my question to you would be how quick did it run in the quarter mile, also are you sure about 1350 cfm on the six pack,…always thought it was around 950. I don’t know, as a young kid when the first oil crisis happened it seemed everyone my folks knew that had something like that panicked and suddenly they were trading them off for those little rice burners, yuck! 1350 cfm was the correct advertised numbers for Mopar Sixpacks. 500 cfm for the outboards and 350 cfm for the inboard. But, there is also an element of truth to your suggestion of the 950 cfm rating. 2bbl carbs used a different means of measuring cfm’s. If you use the same formula used for 4bbls carbs it comes out around 955 cfm. For whatever reason they came up with a different formula to rate the 2bbl carbs and the 1350 cfm is how they were tagged. 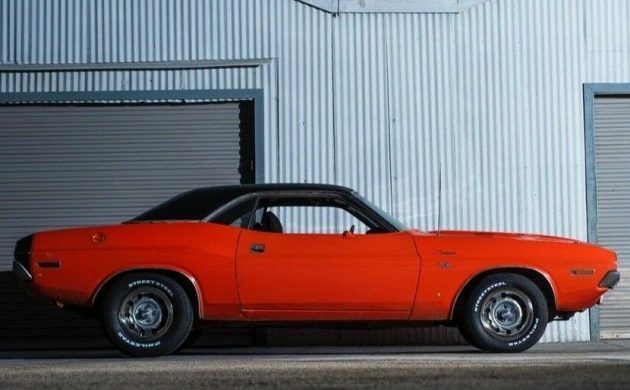 The standing quarter mile for a 71 440 Sixpack Challenger runs around the 13.8 mark and is generally accepted as a real tested figure.